Henry Harris is a fisherman living on Grand Manan in the Bay of Fundy. He started fishing when he was 14 years old and has been on a boat ever since. His livelihood and the livelihood of 2000+ people living on Grand Manan is connected to the lobster fishing industry. The proposed Energy East pipeline from TransCanada would end in St. John, New Brunswick, and a major increase in tanker traffic is expected if the pipeline is built. Fishermen on the Bay are concerned about the potential of a spill and what it could mean for their communities. I was lucky enough to head out lobster fishing with Henry while on my Along the Pipeline project. I managed to capture a few images in between those moments where I lost my breakfast over the side. The next day Henry was kind enough to sit down with me and share some of his thoughts. 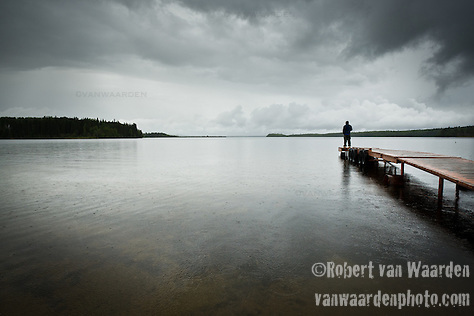 Simon Reece from Anzac, Alberta, stands on the pier on Gregoire Lake. Without the huge amount of fresh water resources in Northern Alberta, the Tar Sands would not be able to operate. Oil companies don't pay anything for the water removed from the Athabaska river, which they subsequently pollute, requiring residents downstream to buy bottled water to drink. 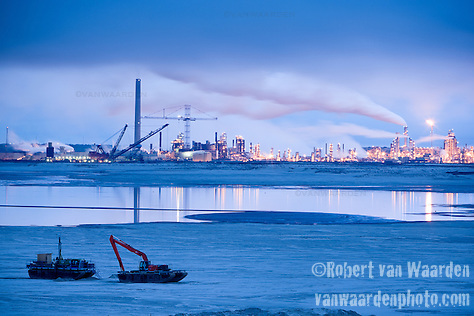 The Syncrude oil processing plant. Average greenhouse gas emissions for oil sands extraction and upgrading are estimated to be 3.2 to 4.5 times as intensive per barrel as for conventional crude oil produced in Canada or the United States. 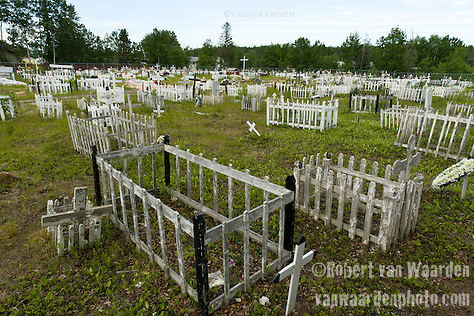 The cemetary in Fort Chipewyan. Since the arrival of the Tar Sands, more cancer is appearing in Fort Chipewyan then in a regular community this size. 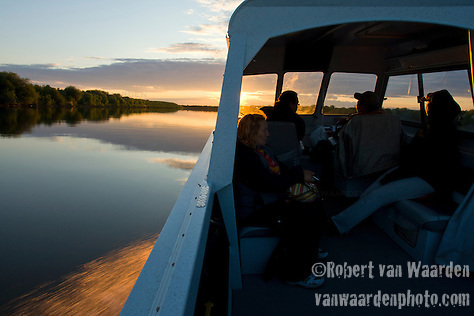 The Athabaskan River delta is one of the largest water systems in Canada and a key component of the livelihood of the Dineh, Cree and Metis that live along its’ banks. However, upstream from communities like Fort McKay and Fort Chipewyan the out of control Tar Sands Industry is polluting the system and rendering it unusable. I was recently in Alberta, photographing and interviewing the First Nations to help publicize their story. Despite cozy government and industry relations claiming that industry is not affecting the water quality, the evidence is mounting and exposing their flawed science and PR campaign. A recent report by several authors including acclaimed scientist Dr. David Schindler has the government of Alberta scrambling to cover up and increase their PR. “Contrary to claims made by industry and government in the popular press, the oil sands industry substantially increases loadings of toxic PPE (priority pollutants) to the AR (Athabasca River) and its tributaries via air and water pathways.” David Schindler. Residents of Fort Chipewyan sail down the Athabaska River. Many residents of Fort Chipewyan have cabins on the land. They try to maintain some of their attachment to Mother Earth, which is exceedingly difficult with the dangers of eating the fish and disappearance of wildlife due to industrial development upstream. When I was in the region, I heard again and again that people don’t trust the water. The water is suspected to be part of the cause of a drastic increase in cancer cases in Fort Chipewyan and is widely cited as the reason why the fish are appearing with tumours. For a community that used to rely on fish as a food source, now when a fish appears at the table, the first question asked is, ‘Where did it come from?”. It is shocking that the Canadian and Alberta governments continue to put industry profits above the health of people and the environment. However, the drive and energy of the young people and leaders within the communities are succeeding in securing support from a wide range of groups and individuals including James Cameron, director of Avatar. The tide is shifting. It is time that the truth be told about the water situation in this beautiful part of Canada and I join the call for a comprehensive study on the water system, free of industry input and a moratorium on further Tar Sands development until responsible ways of developing are found. This post is part of the Blog Action Day #10 focusing on water. The crux of any environmental industrial development is the relationship between people on the land and the newly manufactured landscape. Rarely has the coverage of the Tar Sands in Northern Alberta gone beyond environmental impact and touched on the story of the impact on First Nations culture. Yet, this development is having a profound affect on the lifestyle of the indigenous peoples of the region. Fort Chipewyan is experiencing elevated levels of cancer believed to be caused by toxins in the Athabasca from major industrial developments upstream. On the other hand, communities have gained employment. What does the boom mean for quality of life, how does it relate to cultural heritage of the indigenous, and what cost or benefit is this project having on the indigenous cultures of Northern Alberta? The following images are the initial selects from an Audio/Visual project that attempts to answer some of these questions.